The Wrap News Inc., founded by award-winning journalist Sharon Waxman in 2009, is a leading digital news organization covering the business of entertainment and media. 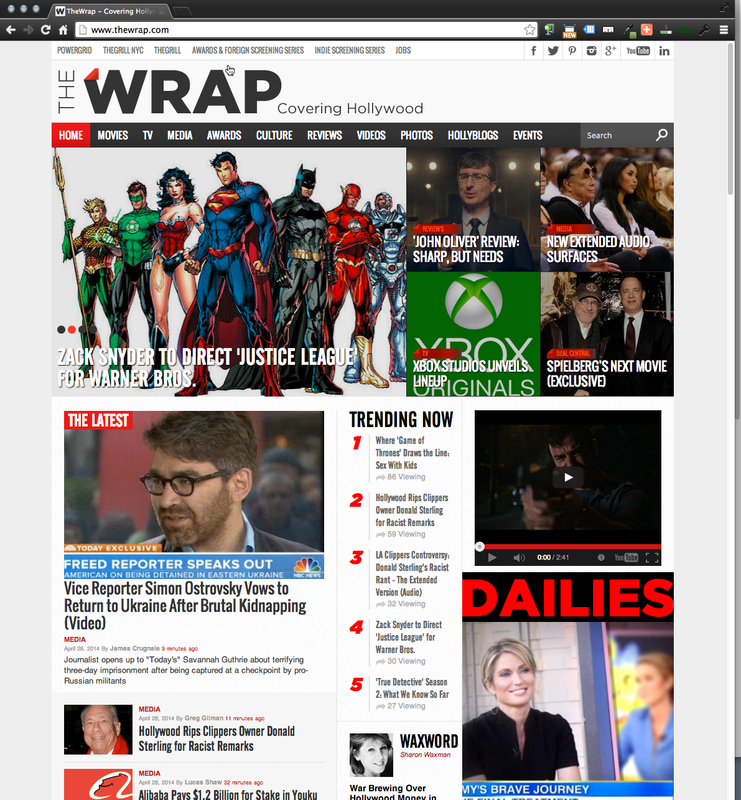 TheWrap was nominated as the Best Entertainment website in 2012 and named the best online news site in both 2012 and 2009 at the National Entertainment Journalism Awards by the Los Angeles Press Club. It has won many other awards for investigative reporting, columns, criticism and feature writing. TheWrap was named one of the “100 Most Important Online Publishers” in 2010 by OMMA, the magazine of online media, marketing and advertising. As the traffic grew Quadshot helped with some advanced caching and custom development to make the site run very fast under the loads of many millions of unique visitors a month.